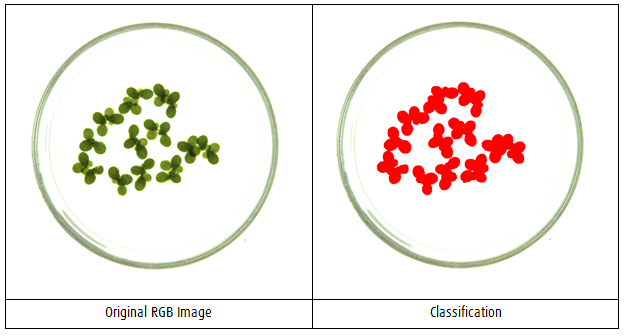 LabScanalyzers consist of cabinets containing high-resolution RGB cameras together with the corresponding illumination. Depending on the configuration, cameras can be mounted in top- and/or side-view position and lights are available as direct- or back-light panels. The unique touch-control software facilitates easy handling of experiments and analyses. The software comprises purpose-specific workflows, e.g. 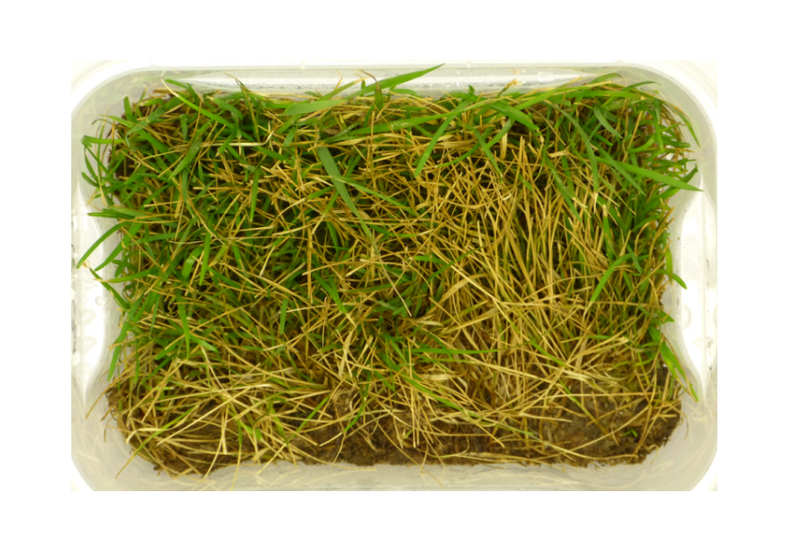 seedling growth analysis or duckweed testing, that enable data acquisition and analysis with a few clicks on the user interface. Customised workflows are available on request and can be established interactively. The workflows of the analytical software provide rapid access to the parameters that are quantitative measures of the phenotypic properties of the samples. Reports are generated as PDF output and as CSV files that enable importing the data in all standard statistical software. Color Surface color properties, e.g. greenness or characteristic colorations due to senescence, disease, nutrient deficiency, etc. 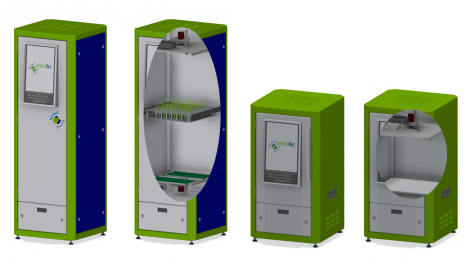 LabScanalyzers are available as top-view, side view or as top-and-side view cabinets. 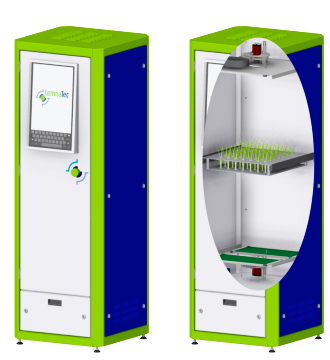 A special light-tight cabinet is available for luminescence tests. suitable for taller samples (space for up to 100 cm); top-view field of view and depth of focus will not cover the full height of the space. Details available on request.